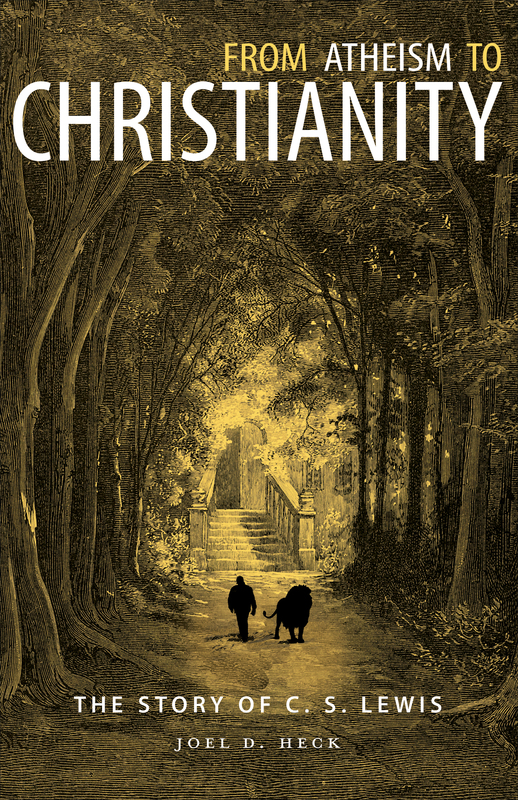 Explore the most tumultuous and defining years of C. S. Lewis’s life, gathering clues that reveal the meaning of life for contemporary atheists and theists—all from the perspective of one who knew both atheism and Christianity from the inside. Heck did his homework for us! Heck has done a remarkable job of meticulously and thoroughly sifting through Lewis' writings, correspondence, sources used by Lewis, what friends and associates recall, and on and on...a multitude of primary and secondary sources. He then has set forth for us a careful summary of his findings. He's done the work and we are the beneficiaries of his labors! Here's a valuable resource for anyone interested in Lewis' spiritual odyssey. I much appreciated Joel Heck's most recent book on C.S. Lewis. He has written a scholarly detailed account of the journey of C.S. Lewis from a shallow form of Christian faith to Atheism, then back again to theism and true Christian belief. His book is for one not necessarily deeply skilled in philolophy, as he carefully explains briefly each school of thought through which Lewis passed. I thought it particularly useful for him to write a summary in the eighth chapter to pull the content of the book together. I would recommend this book to anyone who foolishly believes that atheism is the end of their philosophic search for meaning. As with Lewis that search ends with Christ. Joel Heck has provided us all with a fascinating, well-researched addition to our understanding of Lewis’s path from materialistic atheism through several kinds of idealism and pantheism to theism and then to Christ. He has done an immense amount of work digging into the actual books and authors Lewis was reading at each stage in his 15-year path to Christ. This is especially true of his constant use of Lewis’s diary, as well the contemporary letters by Lewis that describe his reading and thinking in each of those 15 years. Although Lewis described his conversion as purely philosophical, Heck has shown us that there was much more than mere philosophy in Lewis’s conversion from atheism to Christianity. The book does not dig into Lewis’s long dispute with his friend, Owen Barfield-the “Great War” letters and the philosophical treatises they wrote to each other. (My own book, Joy and Poetic Imagination, does do that, but does not cover the long process leading up to the “Great War”, which Heck does so well.) Instead, he describes the books Lewis was reading and just the right amount of explanation of each author’s contribution to Lewis’s slowly changing ideas and beliefs. Joel Heck has written a lasting contribution to Lewis scholarship that should become essential reading for those interested in Lewis’s conversion. Very valuable, indeed! I am a pastor and I currently have a lady in my new member adult instruction class that is excited to join our church but a few years ago she did not want to have anything to do with God, Christ, the church and was convinced that God did not even exist after what she and her husband went through in losing their son. When I referenced Heck’s book, “From Atheism to Christianity: The Story of C. S. Lewis,” and the challenges of faith that Lewis faced - a man who would later become a powerhouse of influence in the Christian world with both his fiction and non-fiction writings for children and adults - it helped to “normalize” how she felt. The problem with pain is that it can either draw people to the Lord or it can propel people away from him and drive them to atheism and despair. The woman in my class felt comforted to know that how she felt about God; at the time she lost her son, is experienced by a lot of people...and was experienced by Lewis. C.S. Lewis has been one of my top favorite authors. From Narnia, to Pilgrim's Regress, Mere Christianity and more, Lewis has always been to the point, even painfully so at times. One question I'd always had, while reading his stories: how did he go from a child raised in a Christian home, to an atheist, and later to Christianity? Joel Heck does an excellent job of following the life of Lewis starting from an early age. The death of his mother was merely one factor that challenged his perspective on life and God. The reader is taken on a journey, as Lewis argues his atheistic views. But there is a turning point. 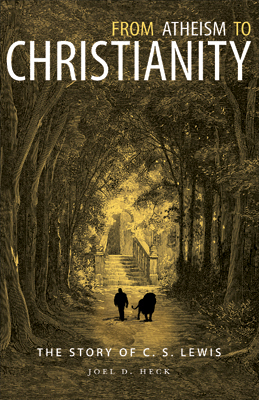 Throughout From Atheism to Christianity: The Story of C.S. Lewis, Heck provides support for his evidence through references of letters from Lewis himself to other individuals. If there was ever a question as to the support of this book, the reader has the means through to research it. Not to spoil the journey, the reader will have to grab a copy and discover what Lewis discovered. What convinced him there was a God? What turned him from an atheist to a Christian?